Patrick Mcglone leaving Aberdeen Sheriff Court. A man has described the moment he was attacked and had parts of his ears bitten in a row over £50. Patrick Mcglone is on trial at Aberdeen Sheriff Court, accused of four charges of assault and threatening to throw Jamie Holt out of a window. It is alleged he attacked Mr Holt in Peterhead on March 3 and left him permanently disfigured. Mr Holt told the court that while he was in nightclub Deja Vu, he bumped into a man called Jack Elms, who he argued with over a £50 debt. He claimed a fight broke out between the two, and that Mcglone – who he referred to as “Paddy” butted him and his friend Jordan Rose. The court heard that later in the night, at a house party on Longate, Elms and McGlone turned up and attacked him. Mr Holt said: “They walked in through the living room. “I was having an argument with Jack and then Paddy hit me. “I ended up on the floor. He added that when his friends attempted to step in, Mcglone told them to stay put. He said that Elms then repeatedly bit his ears. The court heard that afterwards, Mcglone looked at the window and said that if the argument had been with him, he’d have thrown him out the window. 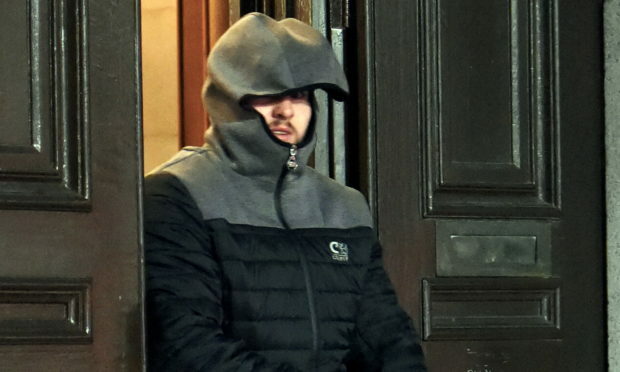 But representing Mcglone, of Slains Court in Peterhead, defence agent Iain Jane suggested his client had not been involved in violence or threats. He asked Mr Holt if Elms had in fact launched the first assault when entering the flat by rugby tackling him to the ground. He also suggested Mcglone had been out of the room when Mr Holt’s ears. Mr Holt denied both points, and said he had no recollection of Mcglone leaving the room. The court has heard Elms has admitted assaulting Mr Holt to his severe injury by biting and disfiguring his ears. The trial, before Sheriff Jack Brown, continues. Mcglone, 33, denies four charges of assault and threatening to throw Mr Holt out of the window.